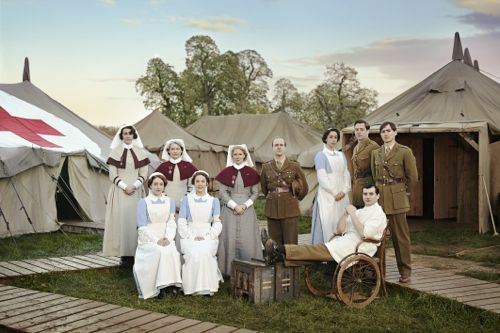 The Crimson Field begins on BBC1 at 9pm next Sunday (April 6). 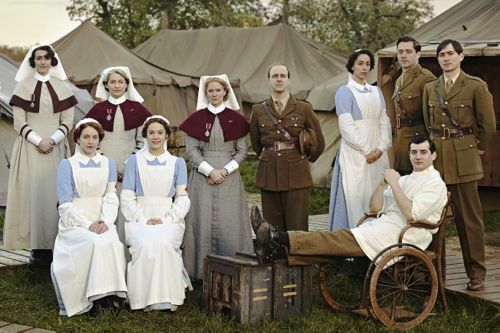 A six episode drama series about volunteer British nurses at a field hospital in northern France. 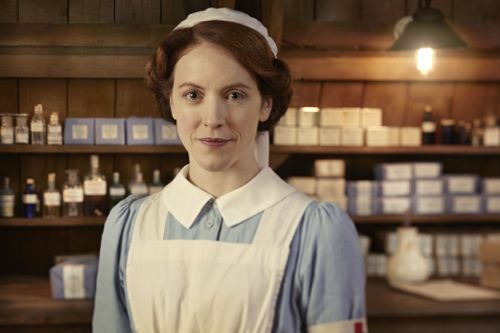 Part of the BBC’s First World War season, it features a strong cast including Hermione Norris, Suranne Jones, Kerry Fox, Oona Chaplin and Kevin Doyle. 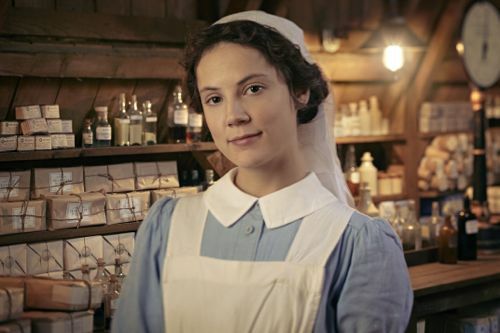 Starting in 1915 with the arrival of new VADs – Voluntary Aid Detachment – to join professional military nurses like Matron Grace Carter, played by Hermione. 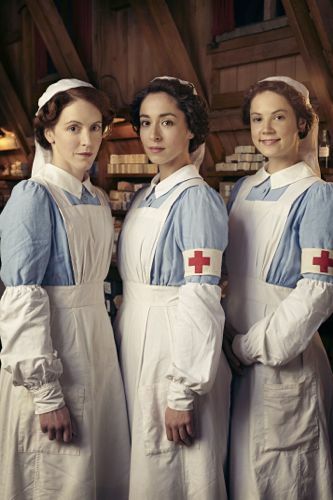 With Oona as Kitty Trevelyan, Alice St Clair as Flora Marshall and Marianne Oldham as Rosalie Berwick. 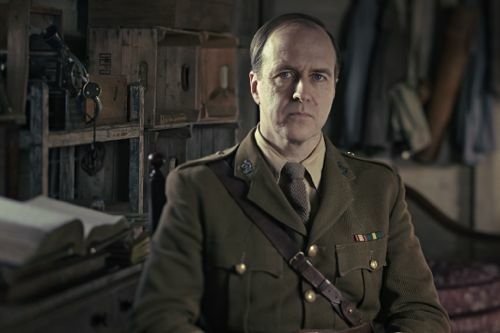 Kevin Doyle is Lieutenant-Colonel Roland Brett, the man in charge of the hospital. But even he has to answer to others higher up the Army command ladder. Earlier this month I attended a London preview screening of the first episode plus later series highlights. You can read my transcript of the post-screening Q&A with the cast plus creator and lead writer Sarah Phelps below. 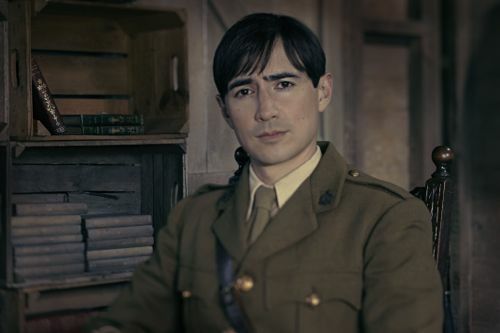 The Crimson Field explores the horrors of The Great War from a different perspective. While also shining a light of the lives of women from different backgrounds, their reasons for volunteering and how they cope with what they find just a few miles from the Front. When they were also facing a time of huge social change. If you’ve got the time to read the Q&A, it contains some fascinating insights from Sarah and the cast members who took part. I’ve also added links at the very bottom of the transcript to some of the material they refer to. 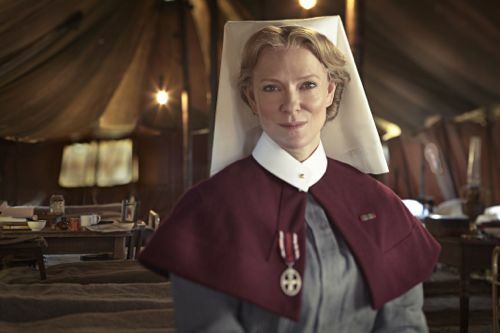 Hermione Norris as Matron Grace Carter. Q&A with Suranne Jones (Sister Joan Livesey) / Hermione Norris (Matron Grace Carter) / Kerry Fox (Sister Margaret Quayle) / Kevin Doyle (Lieutenant-Colonel Roland Brett) / Sarah Phelps (Creator and lead writer). Chaired by James Rampton, with other cast members in the audience. Q: Sarah – tell us what gave you idea for this great drama in the first place? Sarah Phelps: “I read a book called ‘The Roses Of No Man’s Land’ by Lyn Macdonald, who is a very eminent historian in every aspect of the First World War. 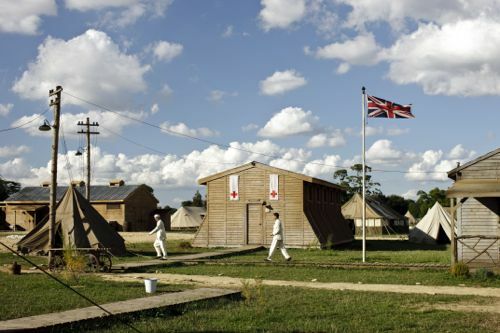 It’s a historical account of the nurses, both military, civilian reservist and volunteer during the First World War at Field Hospitals like the one here, hospitals at home and hospital barges and ships. Suranne Jones as Sister Joan Livesey. Q: Suranne – when you first read it, what appealed to you about this? Suranne Jones: “Well, firstly I loved the scripts. So when I went to the meeting and David (Evans), who had directed me in Unforgiven, was there I got very excited. And I think when I left the room I said, ‘Oh, good luck with this.’ Thinking I’d just watch it, anyway, whether I got the part or not. Because I just thought it was beautiful. The way Sarah just drew the characters. Q: Hermione – was one of the attractions the fact it was a narrative about female contributions to the war. We’ve seen so many stories about the men and the trenches. But this was a different perspective? 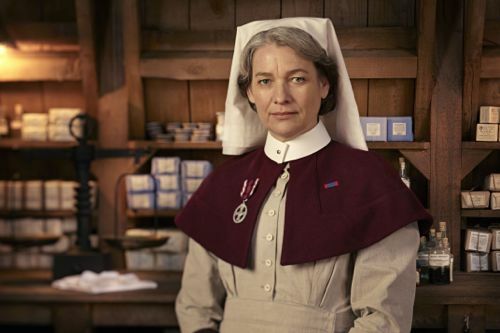 Kerry Fox as Sister Margaret Quayle. Q: These nurses are flawed. They are human beings who make mistakes? Kevin Doyle as Lieutenant-Colonel Roland Brett. Q: Kevin – there are no goodies and baddies in this? Kevin Doyle: “I think that’s something that David wanted to emphasise from the off. There are pressures on everbody. And you begin to understand the pressures from on high. If you’re born from a certain generation you’re so used to a particular narrative of the First World War, which is ‘Lions led by donkeys.’ And I think we’re beginning to see a different opinion of that being told now. I’m not one to echo the philosophy of Michael Gove but there was certainly something about…there were pressures on everyone. There were pressures on the generals. 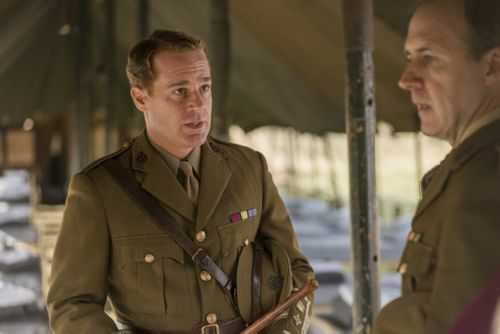 “By the time this episode is screened, 1915, the British Expeditionary Force, which was 200,000, we thought we’d walk in there, save Belgium and everything would be fine. The Germans would go back home. But within months the 200,000 soldiers had been killed or captured or wounded and that Army was completely wiped out. And so they had to first of all ask for volunteers, and there were two and a half million volunteers. But then it became about conscription. 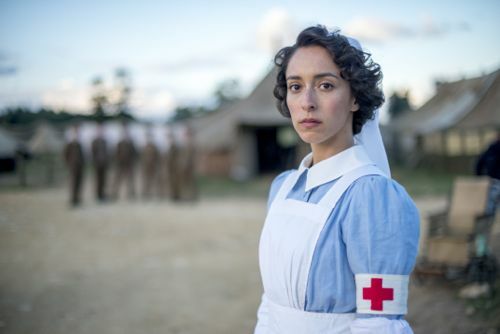 Oona Chaplin as Kitty Trevelyan. Q: Sarah – you made the decision not to go to the trenches at all in this series. Why was that? Q: Well certainly in the first episode? Sarah Phelps: “One of the things that was really important – from a production point of view you have to have a fixed set. You have to have somewhere where we can get used to or we can go to our world. If we go to the trenches, that’s not to devalue what’s going on there. But we can’t go there with our women. 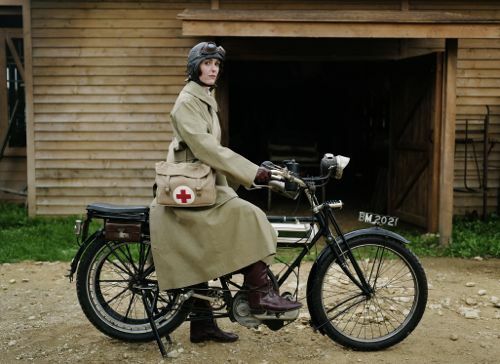 Women didn’t go into the trenches. You could have them a step back at the casualty clearing station and at the field hospitals. Alice St Clair as Flora Marshall. Q: Suranne – could you talk a bit about your character because she comes in at the end of the first episode? Could you fill in her background a bit and how she fits into the jigsaw of the hospital? 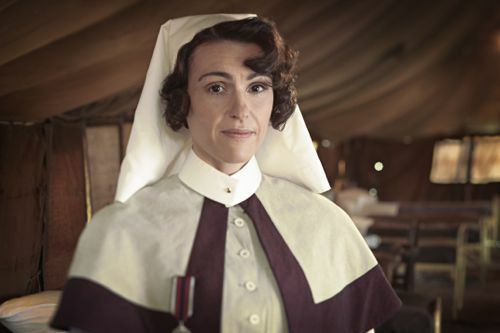 Suranne Jones: “She’s a reservist from Liverpool and she’s never worked in an Army hospital. But she arrives in France. She’s told the girls that she doesn’t have a partner but obviously we’ve just seen that she is wearing an engagement ring. So we will find out a little bit more about who is her partner. “She rides a motorcycle, she’s had her hair chopped off. She’s quite modern. She’s a suffragist and she’s a very modern forward thinker. She thinks it’s wonderful that there are VADs and that they should have more work and more chores and more hands on. Q: Hermione – could you fill is in a bit on your character? She seems very pursed-lipped and quite severe but, obviously, that’s never the full picture, is it? Hermione Norris: “No. Grace has been recently appointed Matron and I think episode one shows her wrangling with the difficulty of embracing that authority. She has been very much Margaret’s protege and has been quite manipulated by Margaret over the years. We find out everybody’s manipulated by Margaret. Something in a name. Q: Kerry – in some ways then, is it like any other workplace drama with the tensions and rivalries that are always visited. Is that an element of it? Marianne Oldham as Rosalie Berwick. Q: Kevin – it was a time of immense social change, within three years women over 30 got the vote for the first time. Do you think that’s reflected in the drama as well? The end of the Edwardian era, the end of the British Empire? All those elements in there? Q: Did you want to bring that in to the drama, the backdrop of what was happening in Britain, the cataclysmic social changes that were occurring? Sarah Phelps: “I did a lot of research about what Britain was like before the war. I wanted to read a lot about the Edwardian period before, so I knew what kind of world everyone was coming from. I read loads of stuff. Edwardian ladies’ diaries and all their experiments. “They were so bored. There was a kind of like End of Days scenario, like the last days of the Roman Empire. They weren’t exactly throwing members of their family on to the rocks in Capri but they were so bored. There was a sense of something glorious having been ended with Victoria’s reign, the end of the 19th century and they’re all waiting for something to explode and catapult them into the next stage. “This was an absolutely schizophrenic society. Sexually schizophrenic, bored and there’s almost a level of depravity in how bored they are. And at the same time, malnutrition and poverty which is absolutely unimaginable. “There’s a really shocking statistic from medical officers and recruiting officers when they had all these young guys volunteering to go to war. Not always from patriotic duty but a job, money in their pocket, a pair of their own boots, a nice good bit of cloth on their back, a gun, off in a foreign country with your mates, a sexual freedom and licence that they would never have at home. Three meals a day. And there’s an amazing statistic which just shocks you to your core about the level of serious malnutrition in volunteers coming forward. Not your communal garden malnutrition – bad teeth and a bit skinny. Serious malnutrition. “Those two extremes. You’ve got to remember that the world that they were coming from, in 1905 you’d already had a revolution in Russia which had scared the crap out of people at home. By the time we’re in 1915 we’ve already got Gandhi in India organising the protests against the Land Taxes. We have, in this period, the absolute seeds of the end of Empire, right now when they’re all fighting for Empire. “Everybody in the world comes to this line, to the Western Front, everybody in the world. It’s incredible. I’ve found photos of Zulu warriors at the Western Front. They were there. 1918. And it’s extraordinary that at this time when everyone’s talking about Empire and who is on who’s side, the absolute seeds of the end of it are now flourishing – in Ireland, in India, everywhere. It has obsessed me. Q: Suranne – it’s an amazing set. Can you talk a bit about it and did help you to get into character? Suranne Jones: “When I first got the job I thought, ‘Great, I’m going to France!’ And then I got on a train to Wiltshire. But it was beautiful. So where the cemetery was they planted wheat – a hundred year old wheat. Then we would have tents. So the scale and the depth of what the cameras could catch was absolutely amazing. Kevin Doyle: “It must have been months before – they built an allotment for the camp kitchen. I don’t know if it was ever seen. But it just looked beautiful. 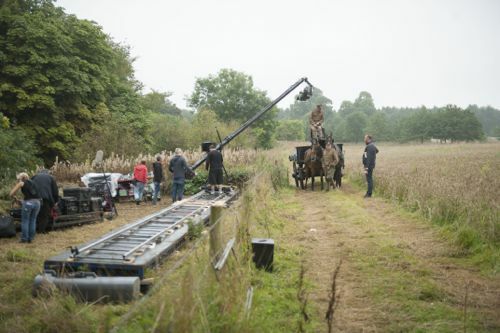 The field of corn – it’s only used in one scene. We’re walking by on the way and back from a cemetery. And there are two or three guys scything the wheat. It’s just for that moment. But they planted it months in advance. Having that kind of expertise. Q: Why are we still so fixated by the First World War? Hermione Norris: “For me – I can’t speak for anyone else – but it’s a generation that I remember. I remember the smell of that generation, the attitude of that generation. And I think the scale of loss and devastation is beyond comprehension. “I became interested in it about 20 years ago, I suppose, and read the Pat Barker trilogy and went to Flanders. Just the psychological effect and impact on us as a nation, I think we’re still living in the consequences of that. When Sarah’s script came along…‘We will remember them’…it was just on a very small scale from my point of view, a small act of remembrance every day. ‘At the going down of the sun and in the morning we will remember them.’ And you really did feel that there. Q: Can I ask about the costumes. Did they also help to get into the characters? 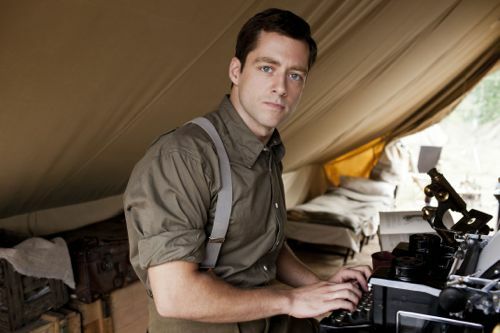 Richard Rankin as Captain Thomas Gillan. Alex Wyndham as Captain Miles Hesketh-Thorne. 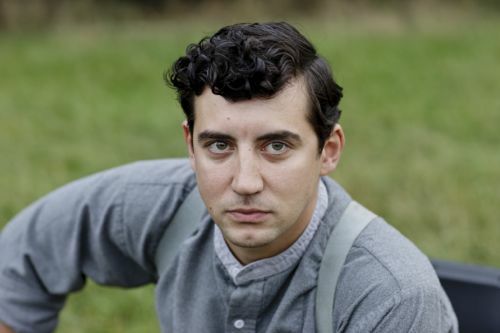 Jack Gordon as Orderly Corporal Peter Fowley. James then opened up questions to other members of the media in the audience. Q: (From me) Following on from what Sarah was saying – was there anything about the day to day lives of the real people who worked at hospitals like this that took you aback or surprised you? That you didn’t expect? Sarah Phelps: “You don’t even imagine for a moment just how hard they worked. One of the things that took me aback was the fact that the nurses would make a point – if they could – about making sure that dying men were what they called ‘specialled’. That they didn’t die on their own. And that every man would get a letter from that special nurse back to their families. Because obviously if a man died on a field then his commanding officer would generally write to the family. 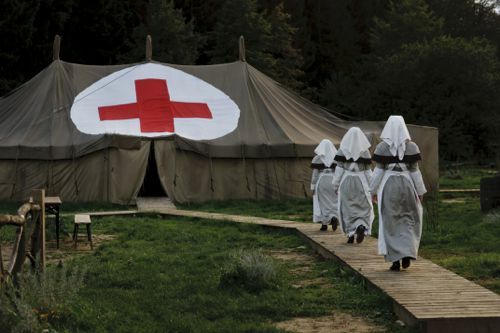 But they’re not in the field, they’re in the field hospital. So you have all these nurses writing back. And at the same time nursing men in the most appalling injuries. “There’s one nurse’s book, Sister Edith Appleton, who’s quite a girl. And she’s alarmingly chuffed when spies are marched out to be hung and shot. But apart from that she’s fabulous. And she describes – and a lot of nurses and volunteers describe – having to to sit with men who are dying from their injuries. There’s absolutely nothing you can do about it. One of the things that just made me go shivering was about Sister Edith Appleton, sitting next to a patient’s bed, who took upwards of five days to die from an appalling head injury. And her description of listening to him trying to breathe through the brain matter dripping down the back of his throat. “This is what they did. And made beds. And poured bleach over their hands to get rid of any infection because a grain of dirt under your nail was the difference between a man’s life and his death. So over raw hands you’d pour bleach so that you be aseptic to deal with your patient. Then you would sit by their beds and hold their hands and talk to them as they died. They went without sleep and their hands and feet split. Q: Suranne touched on this a little earlier, about the wet conditions. How difficult did it get? How boggy did it get? And the missing toes that we saw – I wonder what they were in real life? Suranne Jones: “They used to be kept in the fridge in make up with the ears. So we’d go in to get some milk and the wonderful make up designers and girls that did all the injuries, brilliantly…and there were teams and teams of make up girls when the troops were out…there would be a second make up van that were in at the crack of dawn with all these wonderful supporting artists. So the toes were kept in the fridge. Adam James as Colonel Charles Purbright. Sarah Phelps: “At this stage of the war…you think about now what happens with any kind of traumatic injury. You have blood transfusions, you have ways of treating shock. At this stage, not until 1917 did they have any way of storing blood for blood transfusions. It is astonishing when you read the descriptions that anybody survives these kind of injuries. How they survived gas gangrene, how they survived shock, how they survived people coming in with virtually almost no blood left in their body – and they managed to operate on them. 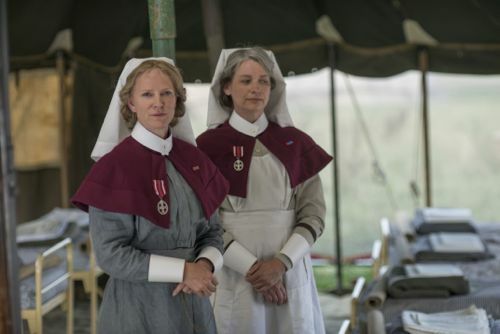 Hermione Norris and Kerry Fox. Q: Could I ask the ladies what it meant to you to play such forward-thinking women? Because this is really the start of women doing proper jobs and being accepted by men. What does it mean to you to play those roles that focus on that? Q: She’s also quite forward thinking in that she’s got short hair and wears trousers. Were you surprised how controversial that was or how that would be seen by other characters? Q: To confirm the time and place of the drama? Sarah Phelps: “We’re in Northern France and we start in 1915 because that was when the first wave of volunteer nurses went over to France. Obviously prior to that they thought it was going to be a two month exercise in spanking the Hun’s arse and sending him home without his tea. And everyone home in time for Christmas. Q: Sarah – the conditions for all these volunteers, nurses, sound really horrific. What was it that motivated them to go over there? Sarah Phelps: “So much motivated them. A load of people might have said it’s duty, patriotism, it’s being fired up. But also I think that at a very much deeper level it felt like a door being opened and there are loads of reasons. The same reason that loads of young men were clamouring to sign up to join the Army – for money, for a gun to be with their mates, for a good pair of boots and for adventure and thrill. “It must have been like a blast going through the blood. I’d have dropped everything like a shot and gone. Just to do something. See a different country, to wear a uniform, a sense of pride to be active. And adventure and men and friendship and comradeship and all those different things. Posted in News and tagged Adam James, Alex Wyndham, Alice St Clair, BBC Drama, Ben Stephenson, David Evans, Edith Appleton, Elsie Knocker, Etaples, Field Hospital, First World War, Flora Marshall, Grace Carter, Hermione Norris, Jeremy Swift, Joan Livesey, Karl Davies, Kerry Fox, Kevin Doyle, Lyn Macdonald, Mairi Chisholm, Margaret Quayle, Marianne Oldham, Oona Chaplin, Pat Barker, Richard Rankin, Rosalie Berwick., Sarah Phelps, Suranne Jones, The Crimson Field, The Great War, The Rose of No Man's Land, World War 1, WW1. Bookmark the permalink. What is the theme music. Sounds like a rip-off of Randy Edelman’s theme for the 1993 Gettysburg film.